Be sure you are logged in and authenticated to your University of North Texas Lynda.com account when trying to download course exercises. You can log in by clicking on the green oval "Lynda.com Sign In" button. 1. 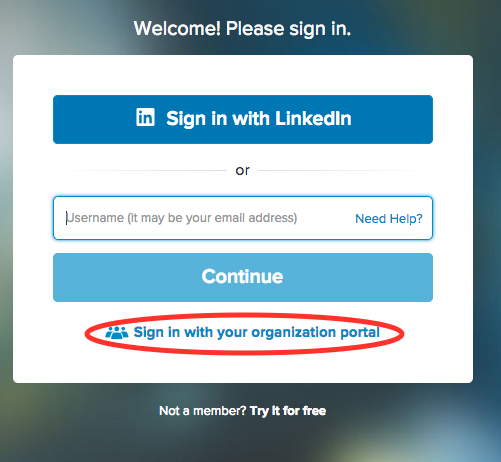 Then select Sign in with your organizational portal. 2. 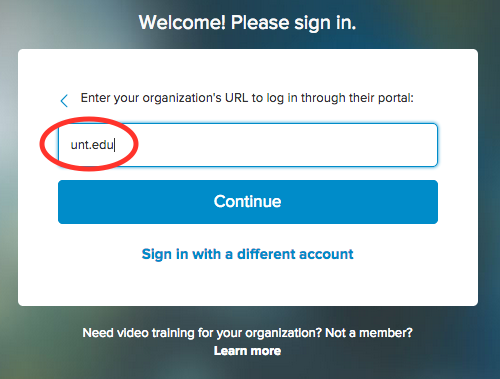 Enter unt.edu as your organization's URL. 3. You can then click on the Exercises tab. 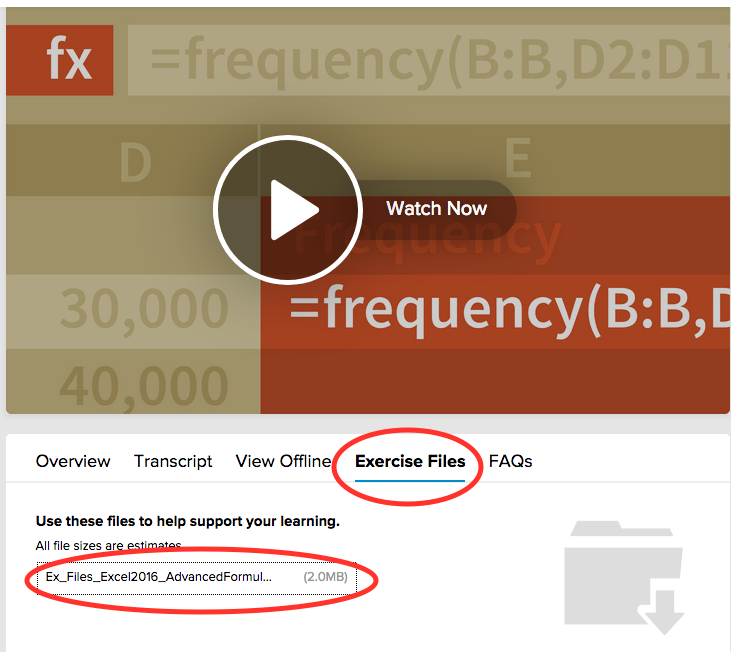 Click on the file listing to start the download of your exercise files. NOTE: Your browser should prompt you for a location to store the file or it may just store it in your default "Downloads" directory, possibly as a .zip archive.